want to be trade buddies? email me! Welcome to Sarah's TCG website, newly revamped and ready to go. Sarah is currently trying to juggle final year of law school with TCG-ing, which begs the question as to why she's active in four TCGs and currently owner of SuperSTAR. Navigation can be found to the left, whereas the TCGs I'm active in can be found below in this section. If you're interested in joining the TCG after seeing what madness I get up to, please don't forget to say that Sarah referred you! You are currently viewing version six of the website, featuring one of Sarah's favourite games of all time - Kingdom Hearts! What's this? A layout that doesn't feature Wu Yifan? What a miracle. Credits for the layout can be found below. Enjoy yourself here, and don't forget you're not alone in this TCG madness! This layout was designed and coded by Sarah in the Mac versions of Adobe Photoshop CC 2014 and Textwrangler. The image was taken from the DestinyIslands.com official artwork gallery, where other images and textures were taken from Shizoo and the background pattern came from Subtle Patterns. The Heartless sprites found in the sidebar were shamelessly taken from the Kingdom Hearts Wiki. one dream one sky is part of the passion☆heart network. 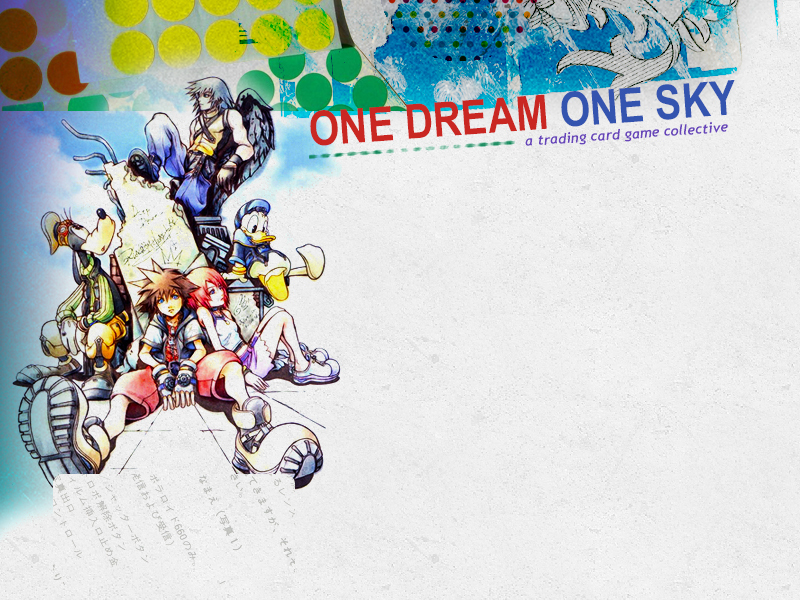 This is a fan project and is no way affiliated to Kingdom Hearts and Square Enix. No copyright infringement intended. Website powered by easy TCG and cardsearchscript.